While many entrepreneurs possess the self-starter spirit needed to successfully develop a flourishing business, not many can parlay the forward-thinking skills needed to successfully adapt a business model for changing retail conditions. One such entrepreneur,Liu Qiangdong , was able to not only create a thriving brick-and-mortar retail space for magneto-optical products, but to transform the structure of the business into the mega-successful e-commerce platform known to billions of shoppers as JD.com. By recognizing a change in the manner in which customers shopped, and developing proprietary e-commerce platforms aimed at a seamless customer experience, Liu Qiangdong created an unparalleled shopping experience. Born in the Jiangsu province in China, in Suqian, Liu Qiangdong focused on his studies throughout grade school, and eventually enrolled at Renmin University in Beijing, where he earned his Bachelor’s Degree in Sociology. Throughout his formal studies, however, his intrinsic interest in computer science was manifested in Qiangdong’s forays into computer coding, and the burgeoning existence of the world wide web. Freshly matriculated, his first foray into the workforce was for Japan Life, the wellness focused company for whom he eventually became Director of Computers, Business, and Logistics. During his tenure with the company, he garnered many valuable skills related to business management. Ultimately, Liu Qiangdong’s entrepreneurial desires blossomed, and he rented his first retail space within Beijing’s tech district. Focusing on authentic magneto-optical products and computer peripherals, he parlayed his business savvy and attention to serving customers into, his first business, Jingdong, which soon operated in a dozen retail locations. Though his business thrived since inception, China’s SARS outbreak changed the retail landscape seemingly overnight. Qiangdong recognized the need to capture his customers in a different manner, and thus, he took his business venture online. He continued to strive to provide unparalleled customer service, set within this new platform. 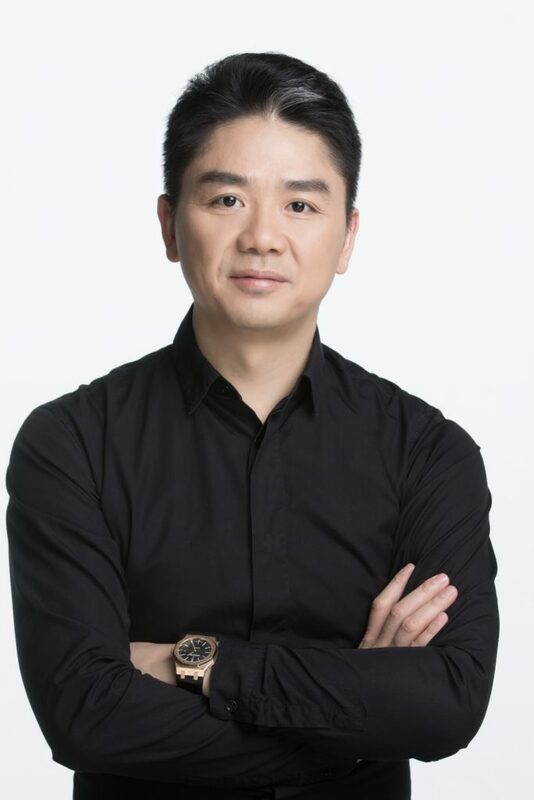 After continuously working on perfecting the technology powering the growing company, forging solid relationships with credible vendors, and developing technology aimed at all-inclusive delivery features, Liu Qiangdong renamed the company JD.com, and continued to focus on the e-commerce model. Since its’ official birth in 2014, JD.com continued to grow exponentially, and eventually became the first major Chinese ecommerce company to be publicly traded on NASDAQ. As CEO and chairman of the company, Liu Qiangdong serves as the face of JD.com, constantly working toward global expansion, continued development, and the utilization of forward-thinking technology to improve upon customer service. Through a commitment to providing high-quality products, he continues to partner with various internationally renowned brands. True to his love of technology, he continues to be on the forefront of tech advancement, utilizing the largest fleet of drones for successful delivery services for JD.com, reaching a population of over one billion people. Through these continued efforts, and a continuous desire to grow as a company, Liu Qiangdong’s direction of JD.com provides ongoing growth, success, and expansion. By keeping true to his business instincts, and ability to shift processes based on retail atmosphere, Liu Qiangdong has proven himself to be a wildly successful entrepreneur, and businessman. As the globalization of business continues to change the landscape of e-commerce, there is no doubt that Mr. Liu Qiangdong will continue to change accordingly, perpetually one step ahead of the competition.